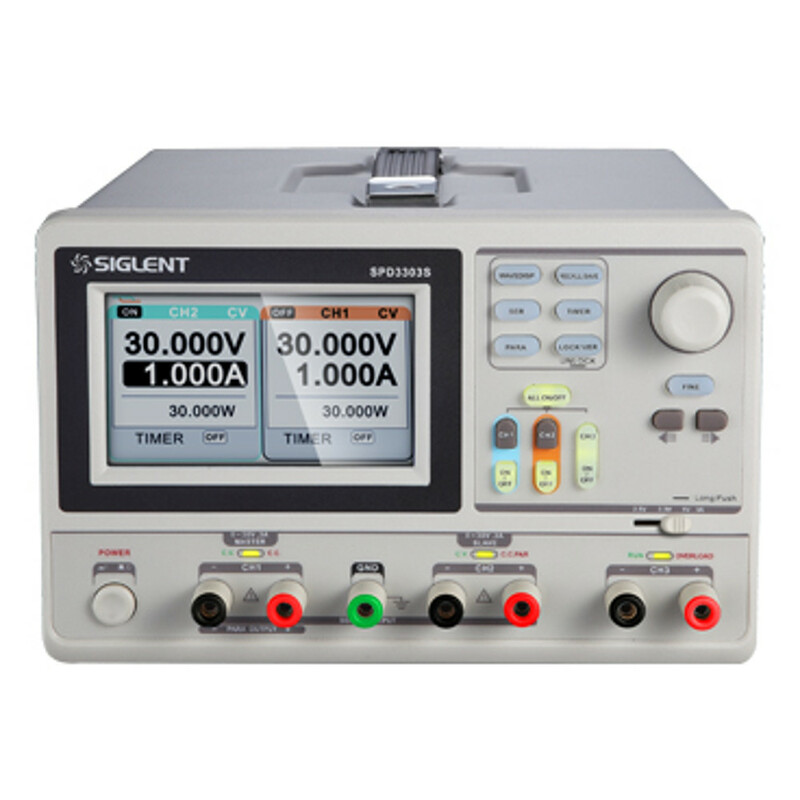 The Siglent SPD3303D Programmable DC Power Supply is a convenient, flexible and multi-function DC Power Supply. It has three independent outputs, two sets of adjustable voltage values and a fixed set of selectable voltage values of 2.5V, 3.3V, and 5V ,and it also provides output short circuit and overload protection at the same time. PC software for real-time control through USBTMC.